Pharmacopoeia Collegii Londinensis, - Royal College of Physicians of London. 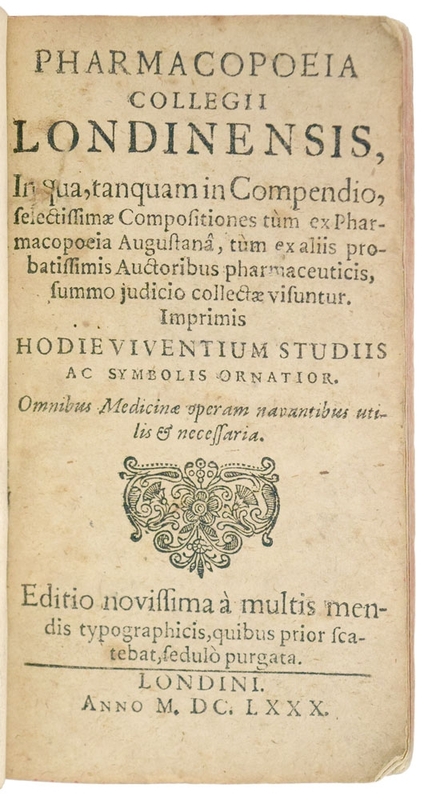 in qua, tanquam in compendio, selectissimæ compositiones tum ex Pharmacopoeia Augustanâ, tum ex aliis probatissimis auctoribus pharmaceuticis, summo judicio collectæ visuntur. Imprimis hodie viventium studiis ac symbolis ornatior. 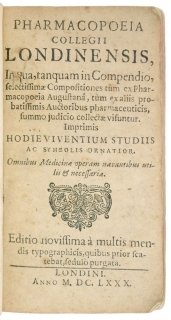 Omnibus medicinæ operam navantibus utilis & necessaria. 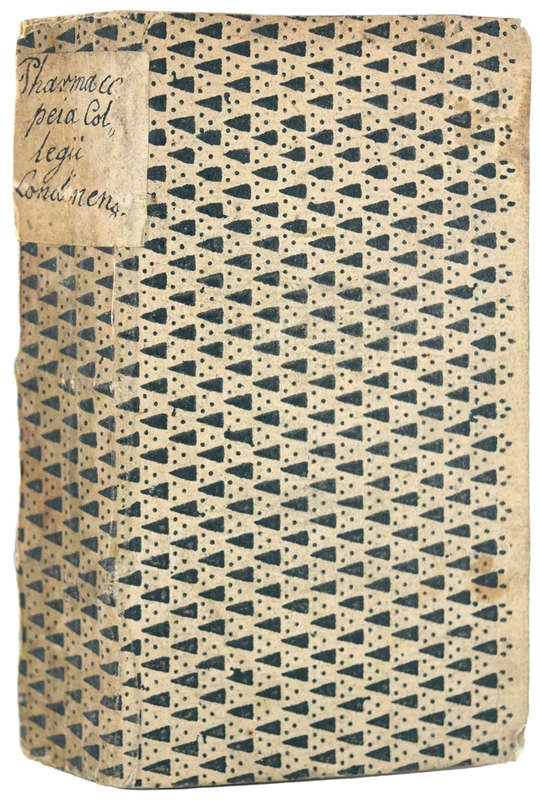 Editio novissima à multis mendis typographicis, quibus prior scatebat, sedulò purgata. Notes: Something like the 30th edition of the Pharmacopoeia Londinensis, and a rare one, ESTC recording only Wellcome, Lloyd Library, and Baillieu. 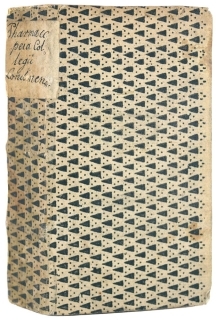 The binding is indicative of the Pharmacpoeia's circulation on the Continent. The text may have been updated, but the list of members of the RCP 'hodie viventium' includes Matthew Lister (d. 1656), William Harvey (d. 1657), and Francis Glisson (d. 1677).